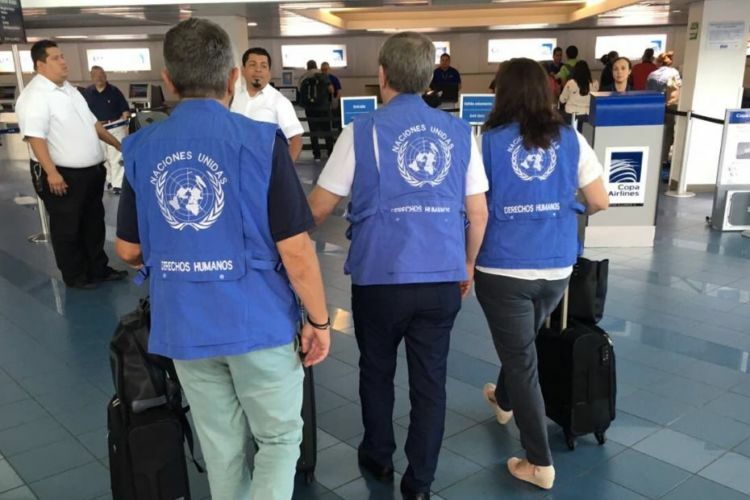 The delegation of the Office of the United Nations High Commissioner for Human Rights (Oacnudh) leaves from Nicaragua to Panama after the government “invited them to leave” the country. The Civic Alliance for Justice and Democracy, in an open letter to the Army of Nicaragua, calls on it to act in strict adherence to the Constitution and laws and to listen to the clamor of the people who demand a peaceful solution to the crisis. The Superior Council of Private Enterprise in Nicaragua (Cosep) informs that the Panamanian airline Copa Airlines canceled operations on four of its flights during the whole month of September. The Working Group for Nicaragua of the Permanent Council of the OAS and the Secretary General of the OAS urge the Government of Nicaragua to respect the agreements reached with the Meseni, GIEI and OACNUDH, while regretting the Government’s decision to withdraw to OACNUDH. Maja Kocijancic, spokesperson for Foreign Affairs of the European Commission, affirms that the decision of the Government of Nicaragua to suspend the UN mission goes against the objective of rendering accounts for human rights violations and serving justice to the victims of the violence. Government of Spain expresses its concern and rejection for the decision of the Government of Nicaragua to end the UN mission in the country. UN report presented on August 29th, indicates that the violation of due process starts from the illegal arrests of the demonstrators by police and paramilitaries and then with judicial irregularities. Supporters of the government party destroy memorial to victims of repression at the Jean Paul Genie roundabout in Managua. José Miguel Vivanco, Director for the Americas of Human Rights Watch (HRW) indicates that the expulsion from the UN mission shows the interest of the Government of Nicaragua to hide the brutal abuses to human rights. Residents of Matagalpa hold a protest to demand the cessation of repression and the release of political prisoners. Public Prosecutor’s Office accuses students Cristofer Nahiroby Olivas Valdivia and Byron José Corea Estrada, university leaders of León, for the death of the young Cristhiam Emilio Cárdenas, and also they charge them with terrorism, fire, damage and aggravated robbery to the detriment of the University Center of the National University (CUUN-León). Self-convoked residents from Ometepe Island march to demand freedom for political prisoners. 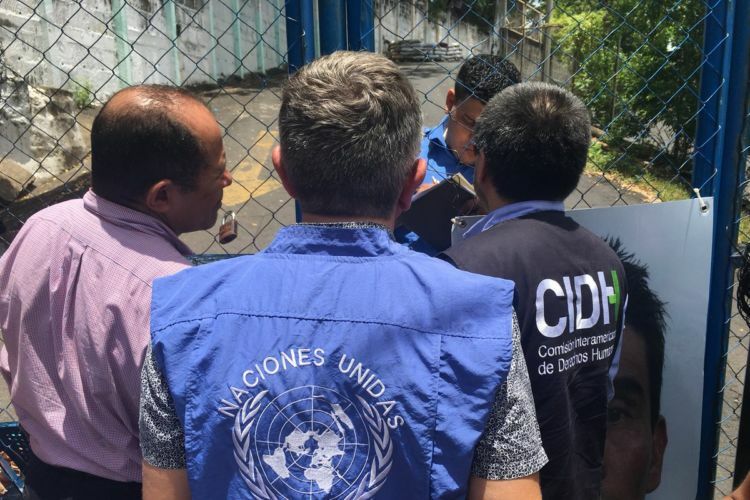 Judge declares guilty of attempted murder Jaime Ampié, William Picado, Reinaldo Lira and Julio Ampié, human rights promoters of the Permanent Commission of Human Rights (CPDH). The Nicaraguan Medical Association (AMN) denounces that more than 300 doctors have been arbitrarily dismissed by the Ministry of Health. Supporters of the government party make a walk to continue with their requests for justice and reparation for the victims of terrorism. Sergio Ramírez, Gioconda Belli, Carlos Fernando Chamorro and José Luis Rocha in a special issue of the Magazine Nexos in Mexico recall the Sandinista revolution and comment on how history repeats itself. National Police and supporters of the government party besiege self-convoked settlers in Granada and Nandaime to prevent them from leaving. Jacinto Suarez, Secretary of Foreign Affairs and deputy of the Government Party discards that this year they carry out a new reform to the Electoral Law. Rosendo Mayorga, president of the Chamber of Commerce and Services of Nicaragua (CCSN) says that, as a result of the sociopolitical crisis in the country, in the months of May and June there was a fall of between 14.18% and 44.67% in the volume of consumer goods. National Police releases Ken Steve Tórrez Arteaga, kidnapped and then transferred to the cells of El Chipote by paramilitary groups.